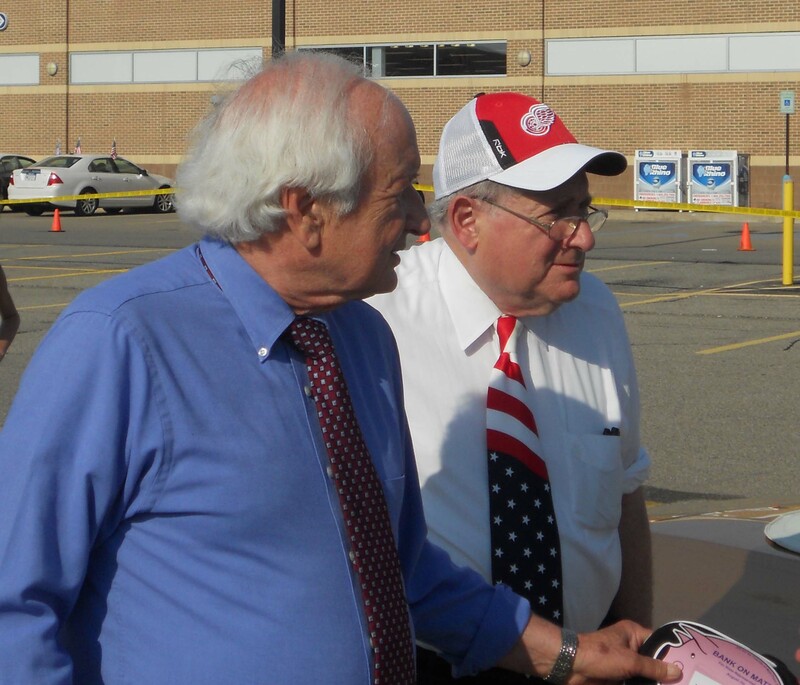 Nothing Personal: Representative Sander and Senator Carl Levin at the Clawson 4th of July Parade shortly after speaking with Libertarian Congressional candidate Jim Fulner, and Recall organizer Scotty Boman. Apparently, comments by WDIV viewers, many of whom are my supporters, had an effect. It is the eve of the election, so I will make this brief. I will let each of these emails speak for themselves. At 11:30 AM you opened the special “Straight Talk” with the announcement that all of the candidates for President, Senate, and Congress (7th through 13th Districts) were invited to give brief statements about why they were the best choice. Imagine my surprise, since I had not received such an invitation. I am writing you now to accept the invitation I did not receive. I would like to record my 4.5 minutes. Since the election is only a day away, it is imperative that you reply quickly. When you spoke to me in the WDIV Green Room you said I could suggest wording that would clarify the fact that not all candidates were invited to “Straight Talk” or any future program using the same criteria, and that you would take this into consideration. * Their campaign has raised over $100,000 dollars. “Some viewers have expressed confusion over our criteria for including candidates in this past Sunday’s straight talk program. Please accept our apologies for any misunderstanding. Thank you for your time, consideration, and candor. I have a sneaking suspicion that this disclaimer will not be used. I think they know most viewers would be as disturbed as I, by this accurate and direct characterization of the criteria.